In the last days of the outgoing year, the museum "house on the Embankment" presents the exhibition-installation "The matter of life. Revolution ". In the center of the Museum Hall there is a grey pylon with two old hangers on it. One of them-wooden, home. Opposite-metal, with hooks from bent wire, camp. 806 residents of the house on the embankment were repressed. They took their outerwear from such wooden hangers to never return to the house. In the year 100 anniversary of Revolution of 1917 and 80th anniversary of "big Terror" the museum has prepared the exhibition devoted to several inhabitants, passed references and prisons in struggle with autocracy and victims of Stalin's repressions. Among them Isaac Green, Pavel Postyshev, Osip Piatnitski, Alexey Rykov, Alexander Serebrovskij, Ivar Smilga, Boris Shumjackij, Valerian Deer, Valentin Trifonov. 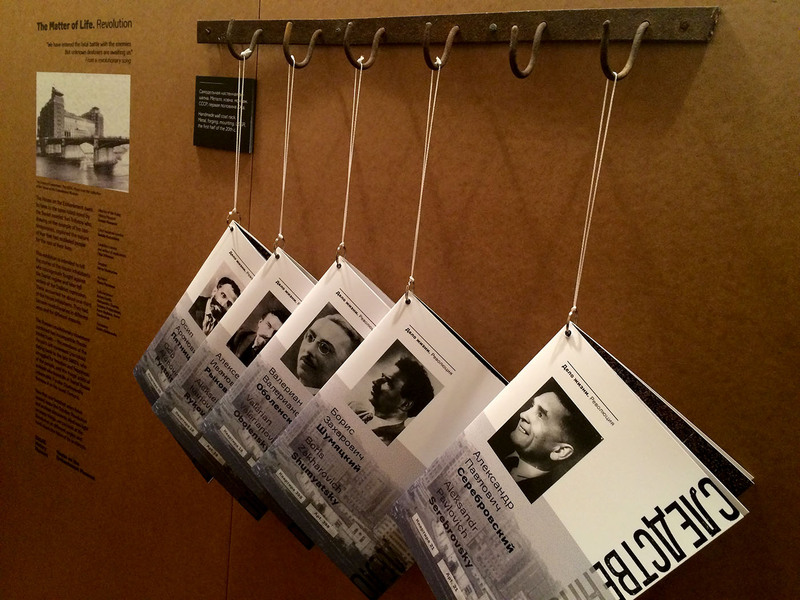 Nine magazines are placed on the exposition pylon, each of which is devoted to the biography of one of the exhibition's Heroes. In magazines published essays, created by the head of the museum Olga Romanovna Trifonovoj. They are illustrated by archival photographic materials and modern kinds of courtyards of the house on Quay, interiors of porches and staircases. Curator of the exhibition, author of texts: Olga Romanovna Trifonova. Editorial: Artem Gottlieb, Alexandra Zueva, Tatiana Polyana, Anna Redkin, Anna Stadinchuk. The exhibition uses photographic materials from the archive of the Museum "house on Quay", archive "history of Russia in photos"/russiainphoto.ru, archive Itar-Tass.